• People like to watch videos. Videos are quick and easy to watch and (usually) more interesting than reading a lot of text. We’re living in a visual society, and it is entirely possible that a video could be just what your family needs to really capture someone’s attention and show what amazing parents you will be. • Viewers can more easily bond with you. Videos create a sense of trust and intimacy faster than text and images alone. You’ll have a chance to immediately stand out from other families and establish a quick connection with your viewers. Videos give you the opportunity to show, rather than just tell, what great parents you will be. • It’s easy to make one. You don’t have to hire professionals. These days all you need is a smart phone. And if the idea of appearing on camera makes you shiver, try a service like Animoto.com. It uses still photos, music, and captions to create a compelling and engaging video in minutes. • Having a video will get your family extra exposure. Place your video on your Facebook and Youtube pages. Add it to your website. And if you are a Premium member on Adoptimist, be sure to send your video to us. We have a dedicated ad campaign for our YouTube page, and the families that appear there will benefit from all the video views and exposure they receive. • Everyone else is doing it. Normally that is a very bad reason to do anything in life. But in this case, the opposite is true. Families that are out there creating and marketing their adoption videos have a distinct advantage over those that aren’t. You need to take advantage of every opportunity to increase your outreach. So you agree: You might need an adoption profile video. Does that mean you should just grab the first clip from your phone that you don’t hate and start promoting it? No way. We’ve watched a lot of profile videos over the years and, frankly, many of them are better off never seeing the light of day. Just like an unflattering profile photo, a bad video can actually do your family a disservice. Without even realizing it, you might sound disinterested, desperate, or even over confident. Your house or family might come across as uninviting. The quality of your clip matters too. Blurry videos or audio problems will keep even the best clip from reaching its potential. What Kind of Adoption Video Will You Produce? • Slideshow Video. 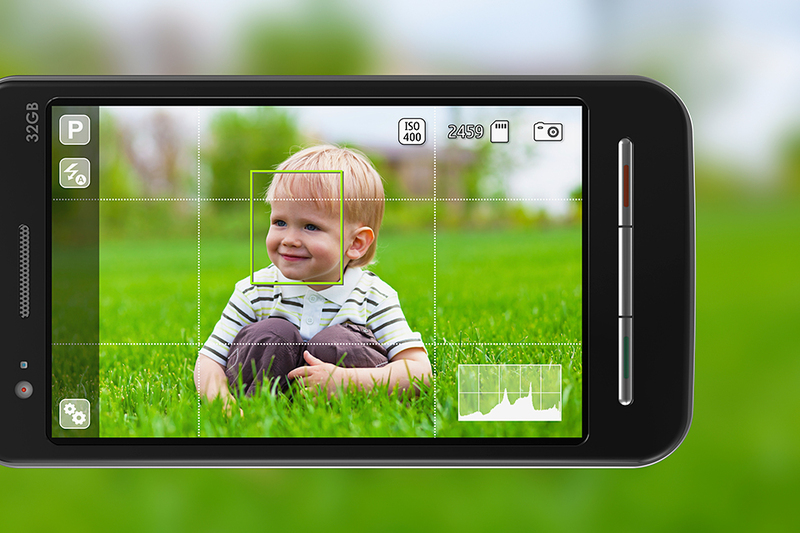 Just about everyone with an adoption profile will feel comfortable making a slideshow video. This is really a glorified photo album, spruced up with moving pictures, simple captions, and a nice, warm song playing over it. Done well, a slideshow video can be incredibly moving and effective. Best of all, slideshow videos are cheap (even free) to produce and take very little time to build. And they are nearly foolproof. That is to say, it is hard to make a bad one. So that is why Adoptimist recommends the slideshow video for all adoptive parents, particularly those who are camera shy or in need of a quick and easy solution to their video problem. Go to Animoto.com right away and get started. • Home Movie Video. We’ve seen clips from piano recitals, trips to the zoo, a first day at school, etc. If you already have children, these clips can be fun. But they really won’t say too much about your family and may only appeal to a select few. If you already have an adoption video, showing one or two home clips on your profile may help to emphasize certain family strengths. Otherwise, you may be better off skipping home clips altogether. • Traditional Profile Video. Families often film themselves in their home, speaking directly and candidly into a camera. Still photos or home videos are often mixed in too. The quality of these clips can really vary. We’ve seen both professionally produced and DIY videos that were equally effective. It’s hard to beat professional polish, but it will cost you. On the other hand, a self-made clip with bad camera work and inaudible audio won’t do you any favors. Whichever choice you make, take the task seriously and try to make an engaging video that looks and sounds good too. It’s worth the effort. • Keep your clips short. Adoptimist targets one to two minutes in length for every video we produce. Leave them wanting more. Three minutes max for your clip. • Show your unique personality as a family. And don’t shy away from being creative. But don’t overdo it either. There is a place for weird video transitions, filters, and effects, but that place is probably not in your adoption video. • Show your adoption video to several people you trust for honest feedback. But don’t bother showing it to anyone if you aren’t ready to hear the truth and make the necessary changes. Remember, Adoptimist Premium members can post their videos on our YouTube page for even more exposure. Adoptimist will also advertise your adoption video through our Promote advertising campaigns. Contact us for more information.